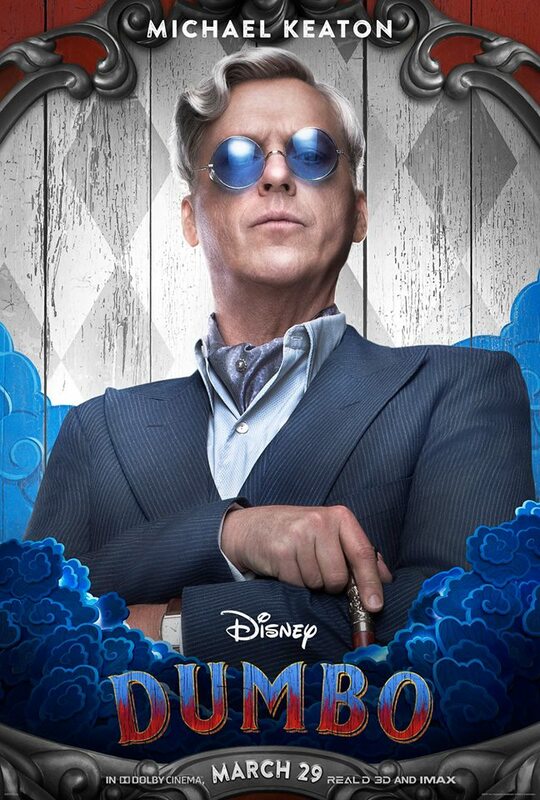 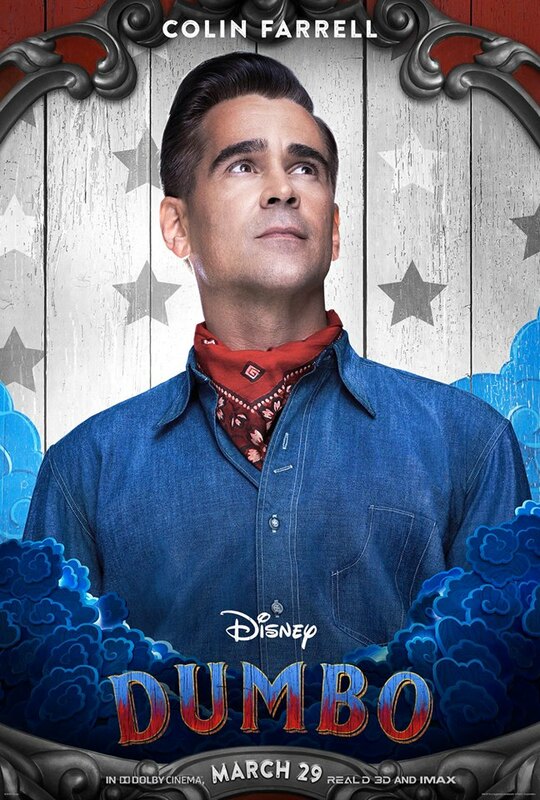 Disney has released a new image still and character posters for the upcoming live-action Dumbo movie. 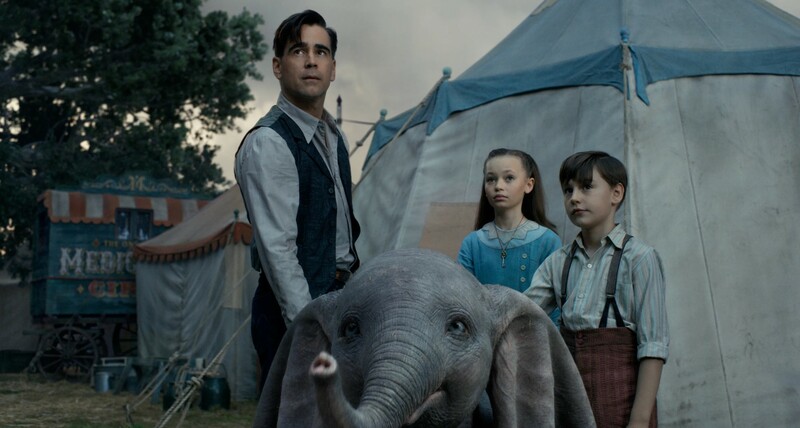 The image features Colin Farrell as former circus star Holt Farrier with his children Milly (Nico Parker) and Joe (Finley Hobbins) caring for the special newborn elephant. 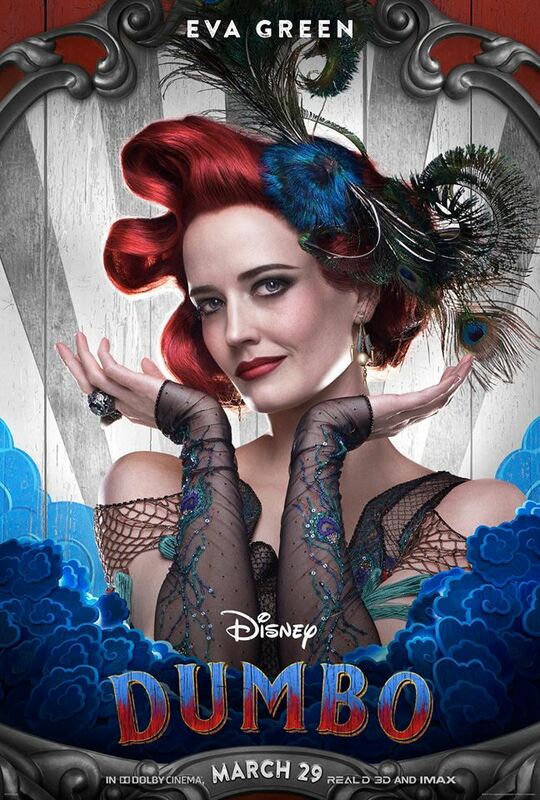 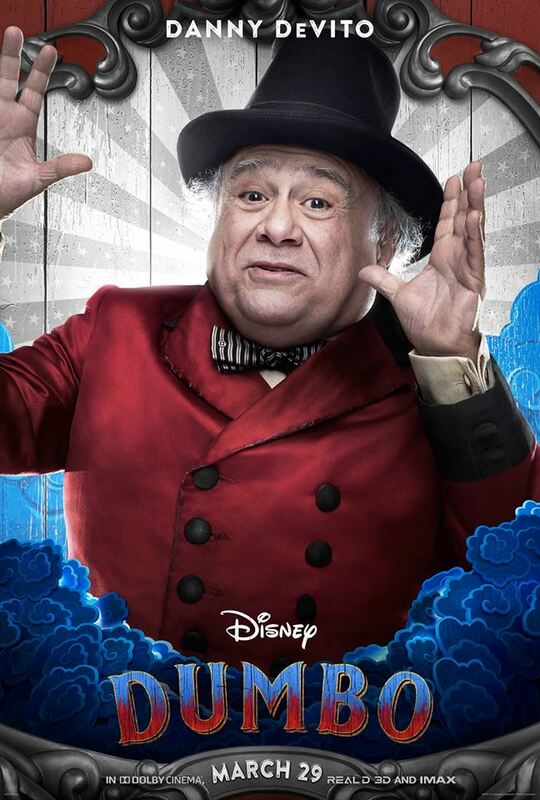 The posters also feature Danny DeVito, Michael Keaton and Eva Green. 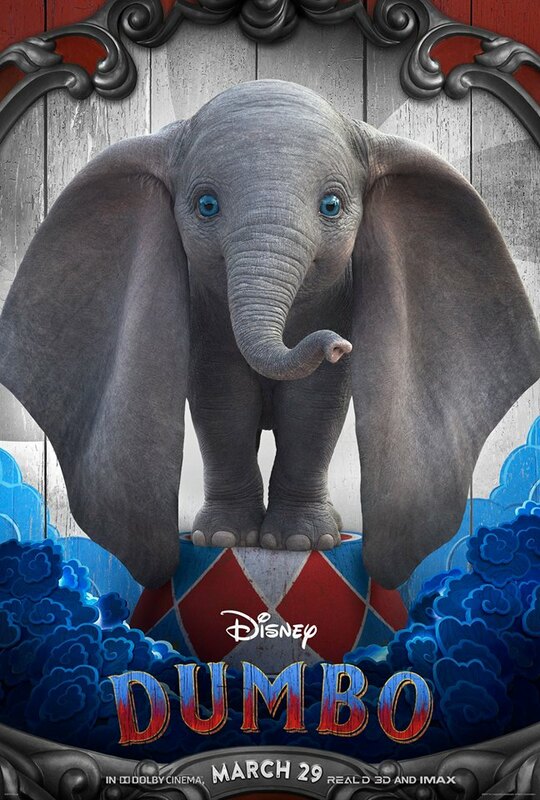 Dumbo gets released March 29, 2019 directed by Tim Burton and also stars Alan Arkin.